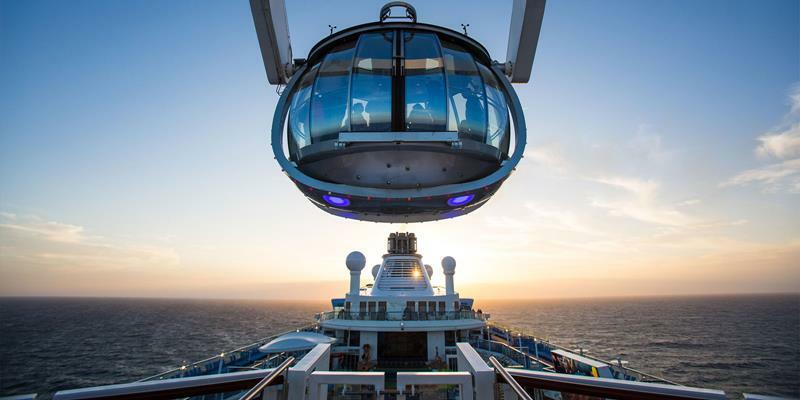 With the Quantum of the Seas already patrolling the waters of the world, Royal Caribbean is prepping its sister ship for debut later on this year, and it’s called Anthem of the Seas. 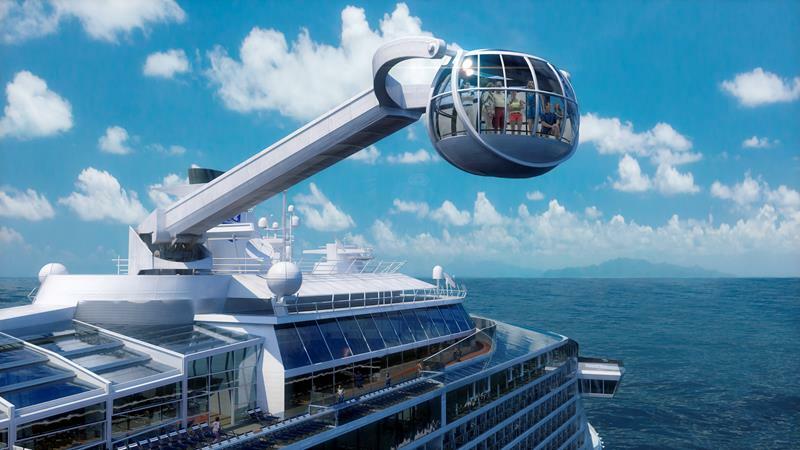 Just like the Quantum of the Seas, this boat is going to be fully loaded with all of the things passengers have come to expect from this amazing cruise line. 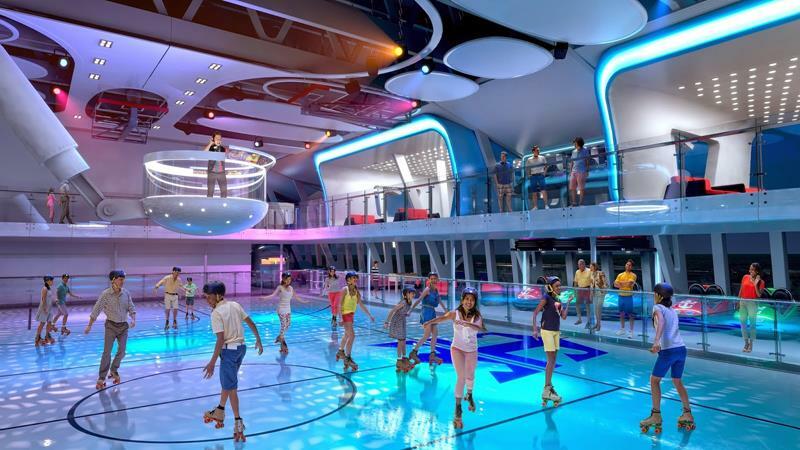 In addition to an onboard surfing and skydiving simulators, passengers will be able to visit the SeaPlex, which will feature bumper cars and roller-skating. 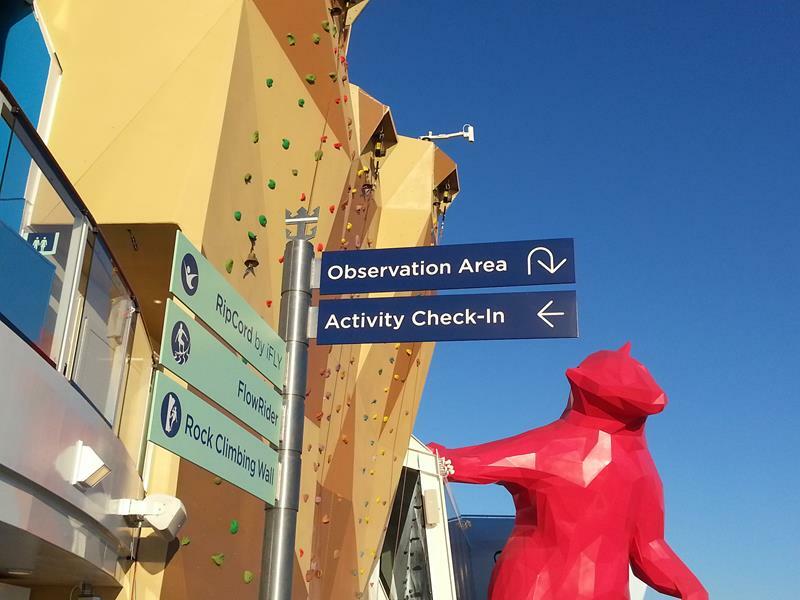 Also, Royal Caribbean is promising “smart entertainment”, and many of the entertainment venues that passengers can visit on board will be fully interactive as a result. 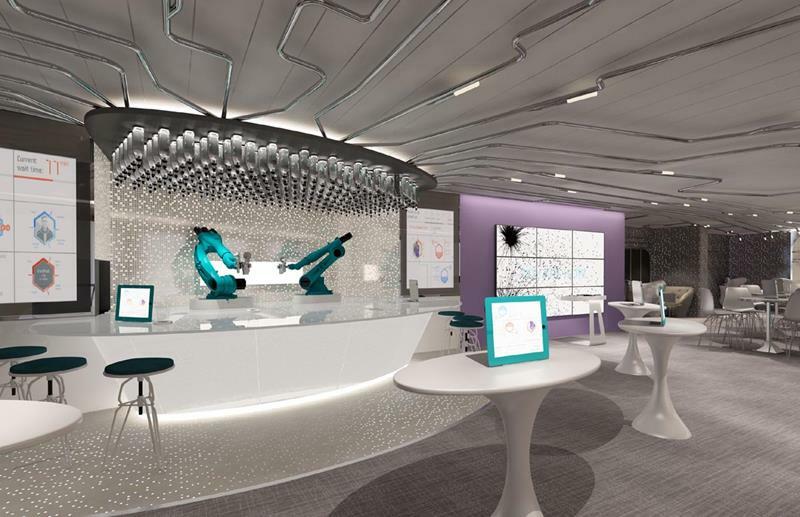 What’s more is that the ship is set to feature robotic bartenders in the Bionic Bar, like the ones that can be found on the Quantum of the Seas. 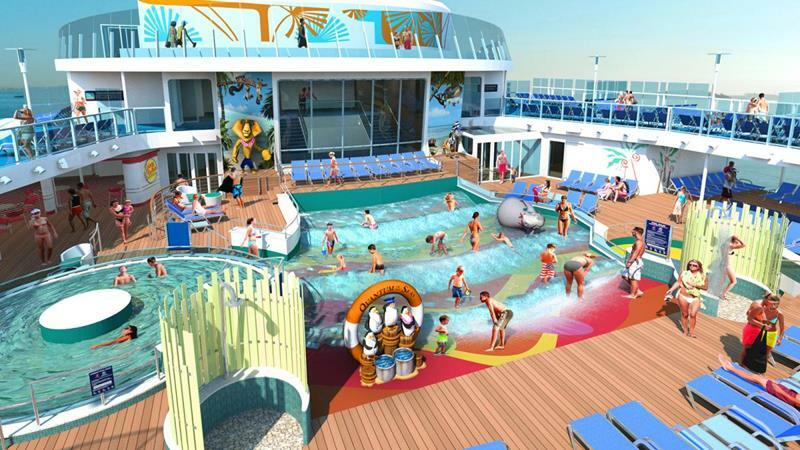 So, let’s take a look at the newest cruise ship in Royal Caribbean’s line, which is set to debut in a few short months. 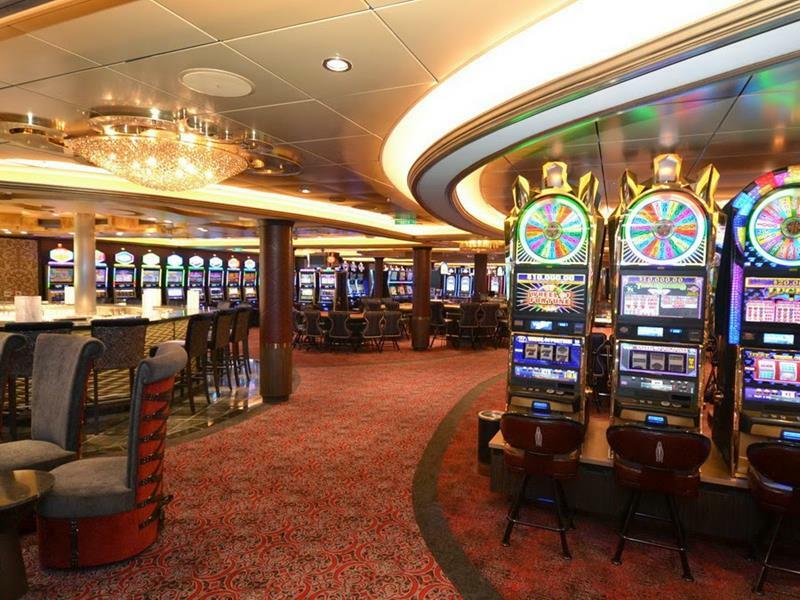 While many of its features will be familiar to those who have travelled on the Quantum of the Seas, it’s cool to check them out all the same! The keel for the Anthem of the Seas was laid back in November of 2013, and construction has been ongoing ever since. 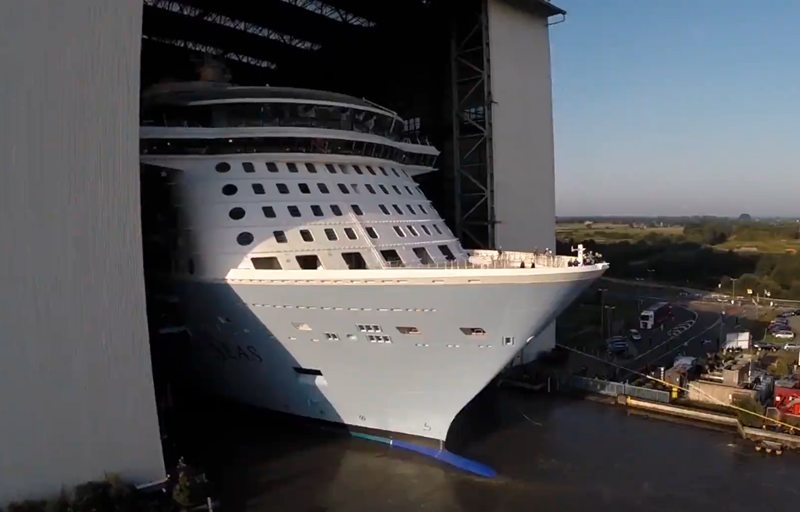 The Anthem of the Seas is almost ready for the public, and it’s expected to make its debut in April of 2015. If you’ve ever wanted to try skydiving, but have been to scared to leave the ground, then you’ll appreciate the skydiving simulator that’s onboard. The North Star, which is an important feature of the Quantum-Class ships, will be present aboard the Anthem of the Seas. 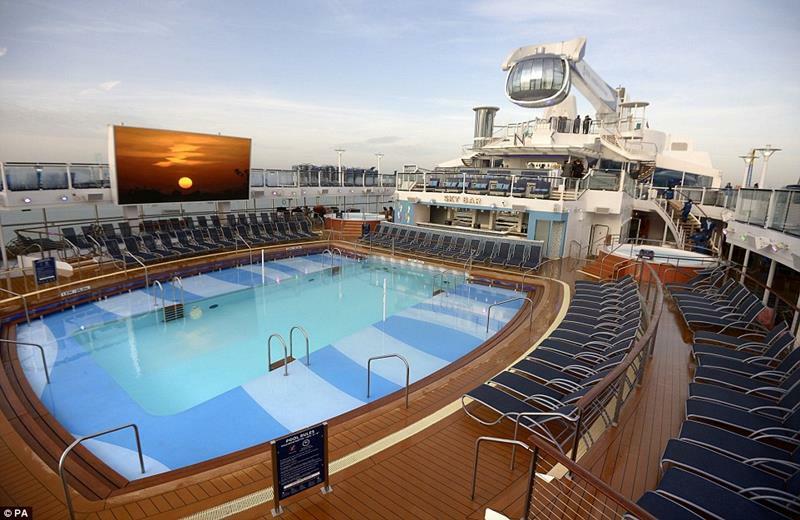 Naturally, you’re sure to find plenty of people swimming around and sunning themselves at the main pool up on deck. 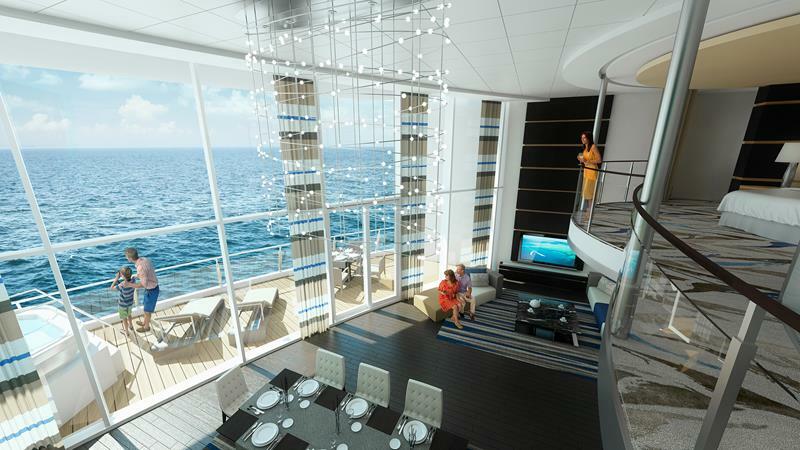 It will be similar to the one aboard Quantum of the Seas (pictured). Just because you’re on a cruise ship doesn’t mean you can’t hang ten, dude! If you have little ones with you, they’re sure to have a blast at the kid-friendly H20 Zone. It will feature a DreamWorks theme, similar to the H20 Zone aboard the Quatum of the Seas (pictured). 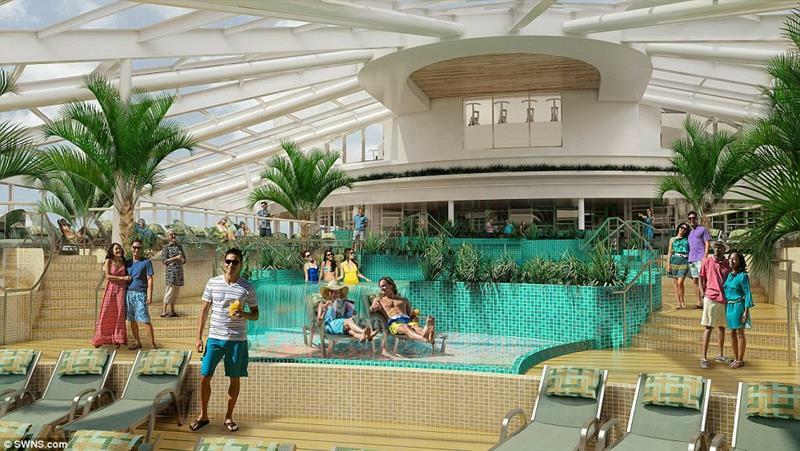 The SeaPlex is one of the most important features of the new Anthem of the Seas. It’s a place that features bumper cars and other recreational activities. If you want to have fun while you’re getting a workout, you’re sure to enjoy the Anthem of the Sea’s rock climbing wall. 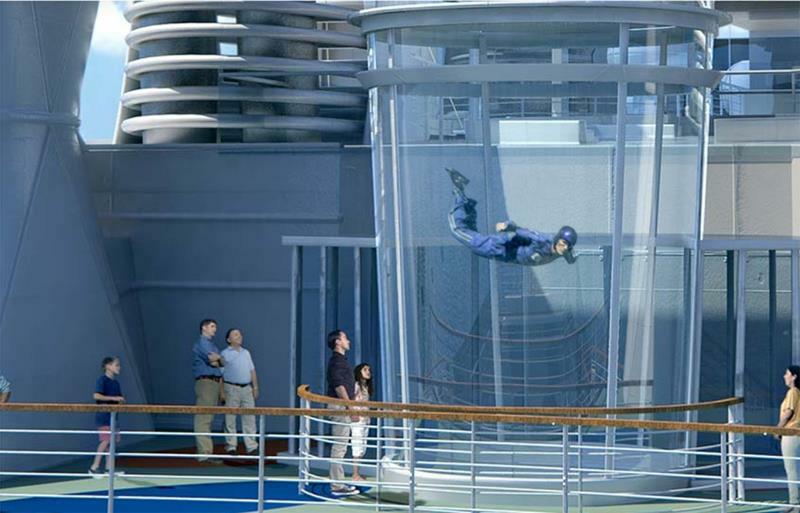 It will be similar to the one found aboard the Quantum of the Seas (pictured). 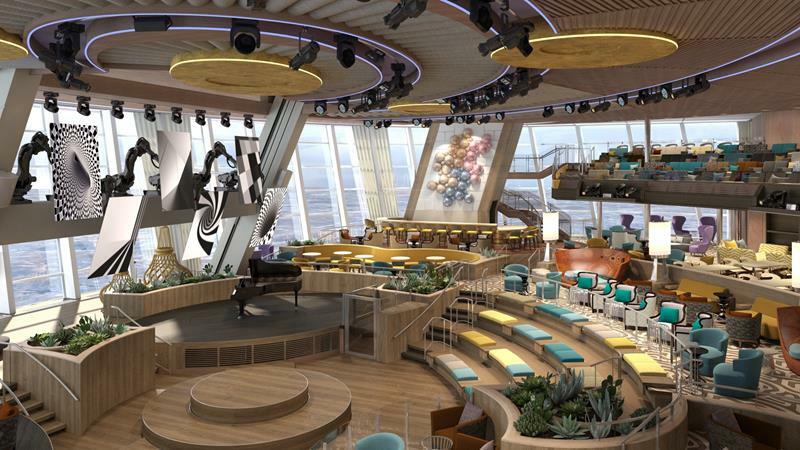 The Anthem of the Seas is designed to feature “smart entertainment” and Two70 will be one of the many places you can experience this. If you’re looking for old-school entertainment, then why not take in a show at the Royal Esplanade. 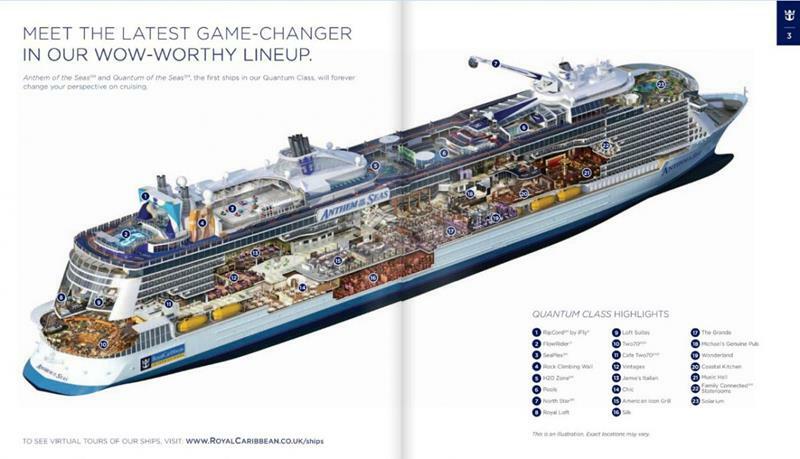 Of course, casinos aboard cruise ships are nothing new, but the one aboard the Anthem of the Seas is going to be huge! 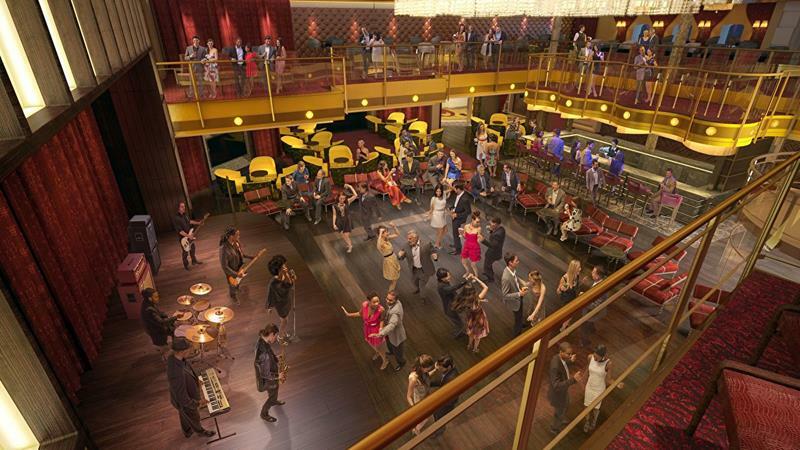 Above, you’ll find a picture of the large casino aboard the Quantum of the Seas. 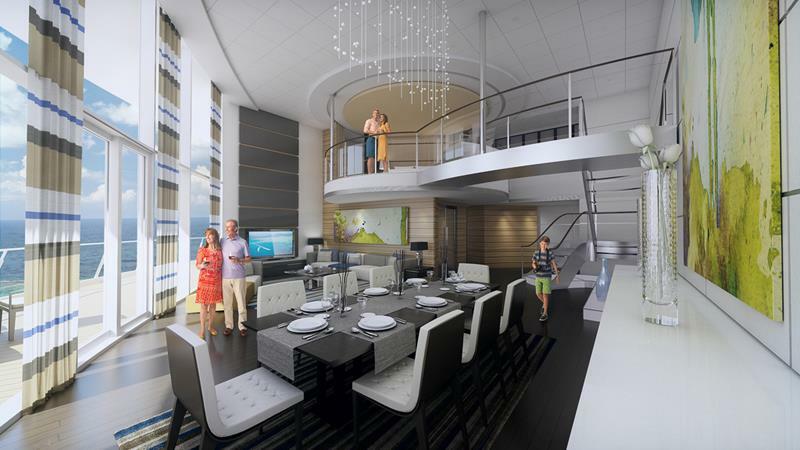 For parents or single adults who need some time away from children, the Solarium is the perfect onboard oasis. If you want a bar experience like no other, be sure to check out the fully automated Bionic Bar with robot bartenders! 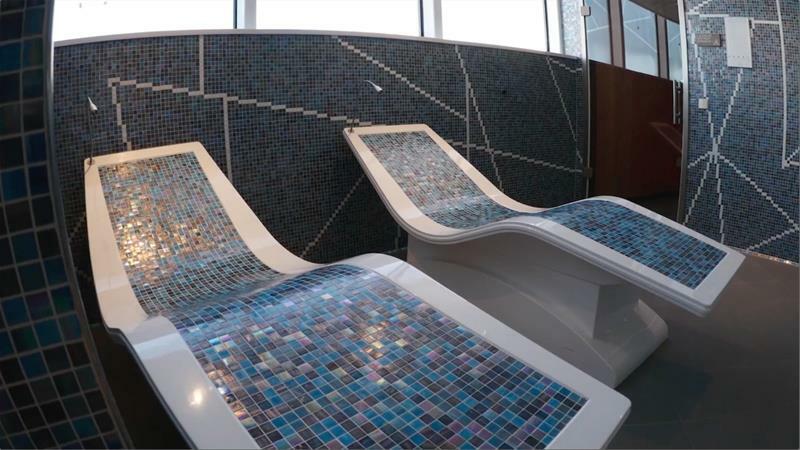 You’ll be able to get a massage, a steam, or whatever other spa treatment you might like at the Vitality Spa. 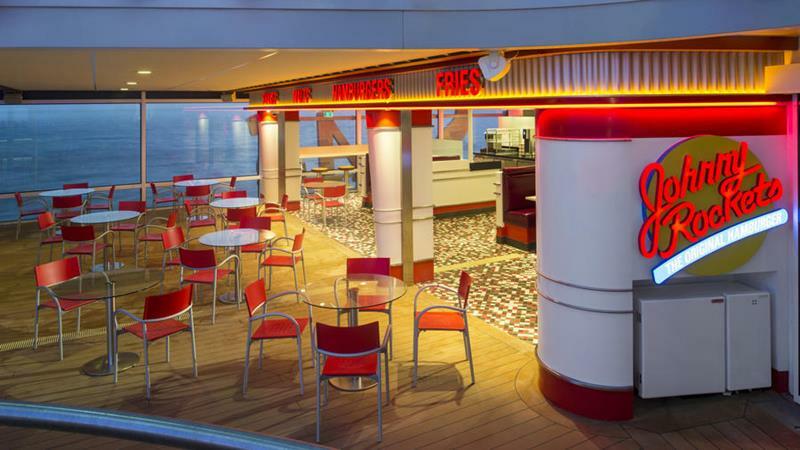 For those that want to dine like it’s the 1950’s, there’ll be a Johnny Rockets onboard serving burgers and shakes. Of course, you might like to have more refined cuisine, in which case you can check out Jamie’s Italian. It’s overseen by celebrity chef Jamie Oliver. 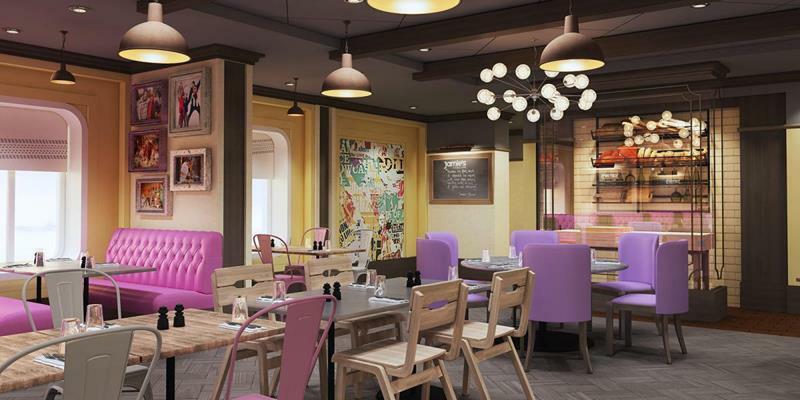 The finest accommodations that you’ll find on Anthem of the Seas can be found in the Royal Loft. The Royal Loft features stunning floor to ceiling windows and all of the luxury touches you could ever want. Even if you can’t afford the Royal Loft, you’ll find that the regular staterooms are quite comfortable and well apportioned. 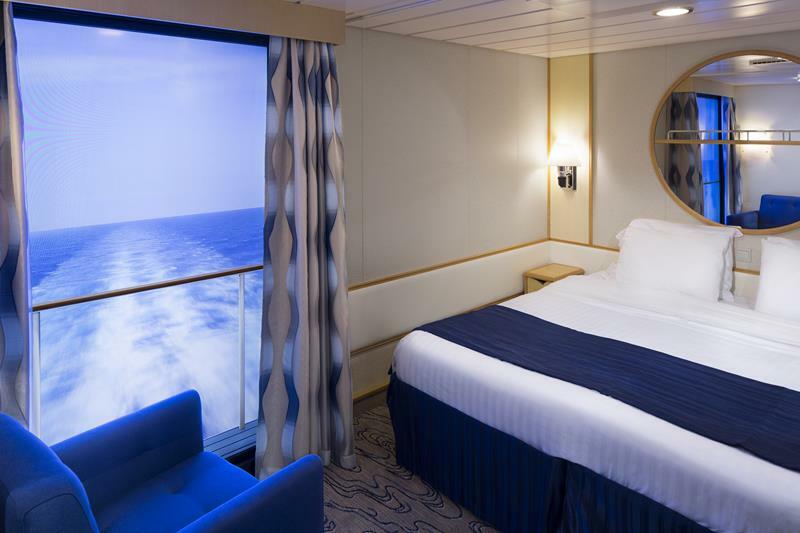 The interior staterooms feature simulated windows made from LED screens. The last in the trio of Quantum-Class ships will hit the sea, and it’s called Ovation of the Seas. Little is known about it yet, so stay tuned!